Welcome to Donard Park! Well maintained and conveniently located complex that comes with its own private club house and in-ground pool. Quick access to expressway. Unit has spacious living room with a cozy gas fireplace. From the living room you can walk out to the covered balcony. Master bedroom has it's own bathroom and walk-in closet. Enjoy the private balcony off the master bedroom. 2 Bed 1 bath brick and vinyl home in Portland neighborhood. Large family room leads into eat-in kitchen with plenty of cabinet space. Leading down hallway with bathroom and bedrooms. All the way down hall is master bedroom with two closets. No shortage of storage here with closet in hallway along with raised closets. QUICK CLOSING!! IMMEDIATE POSSESSION!! Treat yourself! Take a scenic drive through the rolling hills of Oldham County. Discover your very own country estate with all the amenities of the city. Nestled among the trees, this home offers a private paradise with fantastic views of the marina below & is in the award-winning North Oldham school district. Amazing location. Manicured to perfection. 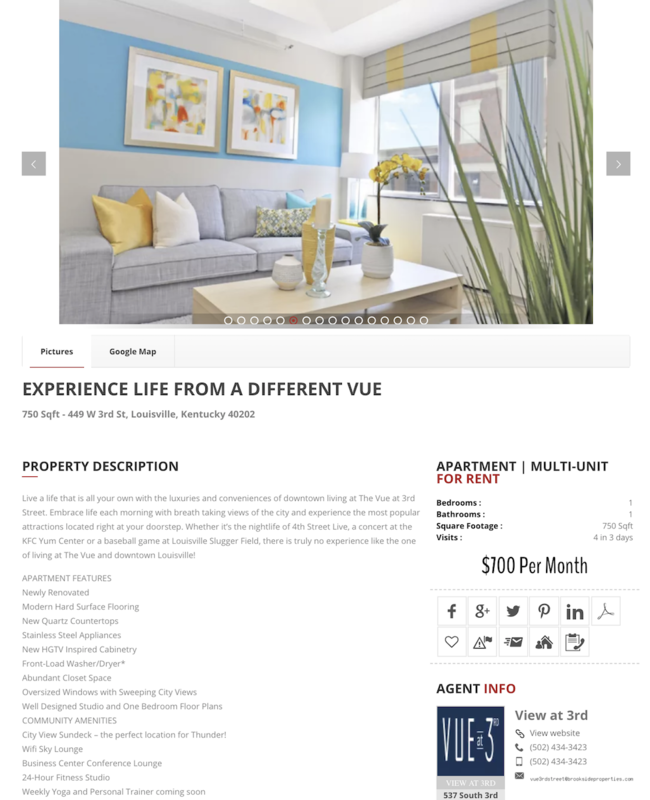 Overlook a private lake and city skyline of Downtown Louisville. Appraised for $550,000. Quite and serene. Enjoy nature, swans and birds. Sunrise and sunsets are splendid here. This well appointed 2 story boasts nearly 4,000 SqFt on the 1st and 2nd floors. An array of windows and doors bring the outside daylight in. PROSPECT LIVING AT IT'S BEST, WITH ROOM TO ROAM ON A PARK LIKE SETTING WITHMATURE TREES, AND BABBLING BROOK! The 5 BRICK BEDROOM, BRICK RANCH has muchto offer: 3 FULL BATHS, TWO FIREPLACES!!! IF YOU NEED SPACE & ROOMS, THIS PLACEWILL KNOCK YOUR SOCKS OFF. The floor plan offers many rooms, the Great Room is open to Kitchen, there is a separate Dining Room, and spacious Living Room. 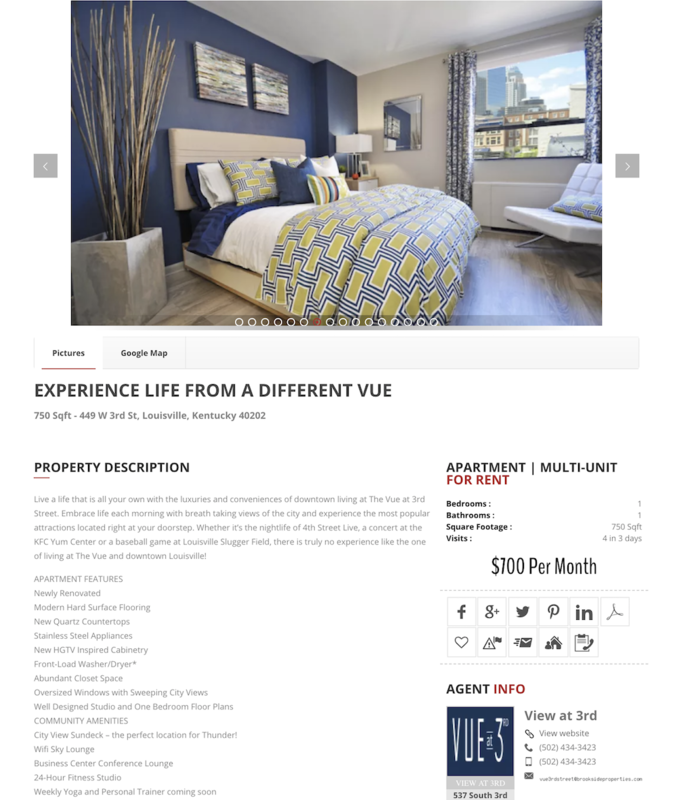 One bedroom condo located on the second floor of a quiet complex in the heart of Old Louisville. Private Courtyard for Residents only. Monthly HOA dues $111 includes water and trash. Common Laundry provided (not coin operated). Stainless steel kitchen appliances to remain. Welcome to this better than new, 1.5 years young new construction home. Seller hates to leave. You already have grass, dogwood and cedar trees growing. Shuck wood and woven wire fence installed, you don't have this luxury with new construction. You enter the home to wide plank engineered hardwood flooring. SPACIOUS BI-LEVEL offers room for all! Living room offers fireplace and patio door to flat backyard, great for games and entertainment. Open staircase to kitchen overlooking family space with door to 12 X 22 deck. 3 bedrooms plus hobby room/office, laundry room and new bath. Come see this newly renovated 3 bedroom, 1 full bath property. This home has been freshly painted and has hardwood floors through out, minus the eat-in kitchen. This home also features a large addition with new hardwood floors. Enjoy the outdoors in this spacious fenced in backyard with patio and detached one car garage. Conveniently located near shopping and expressway access. Talk about MOVE-IN CONDITION! Wait until you see this one. Beautiful hardwood floors, fresh paint, new carpet in bedrooms, 2 full baths, first floor laundry with sink and extra cabinets and a wonderful 500 sqft great room with vaulted ceiling and gas fireplace that opens onto a large deck. The finished basement has a nice family room + 2 other rooms for your office, hobbies, etc. Known locally as The Coleman House the charming old home, made of mellowed hand-fired brick, was built in 1850 on the edge of the quaint town of Bedford, KY. A late 1800's family burial ground is located on the property north of the house. The property is bordered by acres of woods allowing for privacy, trail riding and great hunting. Move in Ready close to Algonquin Park! Major remodel including updated plumbing. electric, furnace, hot water heater, flooring, dishwasher, kitchen counter-tops and cabinets, and bathroom. New AC to be installed prior to closing. Basement roughed in for second bathroom! Seller previously used upstairs non conforming finished space as two more bedrooms. Sq. ft.
“Working full-time and being a single parent of two, I don’t have time every day looking for a new place to live. With the saved search tool, I was able to still focus on my family and not miss out on that which is most important to me. Saved Searches are a life saver!” John R.
“Finding tenants has never been easier. Our vacancy rate has dropped significantly since listing our Apartment Complexes with RoloTC. Their Listing Manager system is simple and we can make changes in seconds. 5 Stars RoloTC. Way to set the bar!” Jill B.
RoloTC’s FREE mobile app is the best to help you find the perfect apartment or home for rent. Share the listings with your family, save your search and have it emailed directly to you. You can search listings, request information, call agent, landlord, owner or property manager directly from your app. RoloTC’s FREE mobile app is the best to help you find the perfect home for sale. Using your current location, our app can show you all the homes for sale surrounding your location. Share the listings with your family, save your search, save certain listings to your favorites or contact the agent or homeowner immediately for your phone to schedule a showing. and have it emailed directly to you. If you’re into doing it yourself, then we are here to help. Selling your home FSBO is a tough task and RoloTC has the tools to and resources to make it easier for you to list and sell your home. Simply start here to list your home, upload photos and we let us do the rest. Calling all agents, brokers, landlords and property managers. If you are looking for more sales, increased exposure, and creating your brand on a better platform other than Facebook, then look no further. Ask RoloTC how you can get your very own website, with your MLS listings. Not sure if the previous owner or your predecessor had any listings with RoloTC? Search for your location by placing the physical address of the property location, and if you see a listing, click on “Claim Listing” or “I’m the owner” to take ownership of the listing and start your future with RoloTC. Looking for your next place to rent can be a very difficult and time-consuming task. So why not let us help you find your next space for rent at no charge to you. 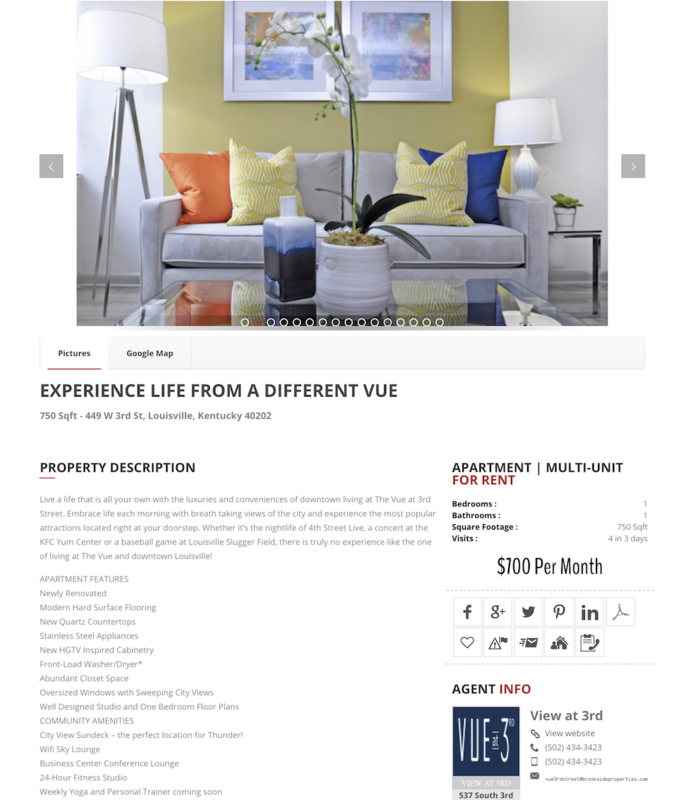 Tell us the specific criteria you are looking for in an apartment, home or condo (i.e. number of bedrooms, bathrooms, location and rent factor), and RoloTC's team of rental specialissts will pair your Saved Searches. with our current and new listings. If you have rented for a while, then you know the good locations do not last but maybe a day, sometimes even hours. Creating your saved search will guarantee you are one of the first notified when a new apartment, condo or home for rent becomes available.